The fact that Hamburg is not only the “most beautiful city in the world” but also the capital of Teutonic powermetal has been well known since the late eighties of the last millennium. 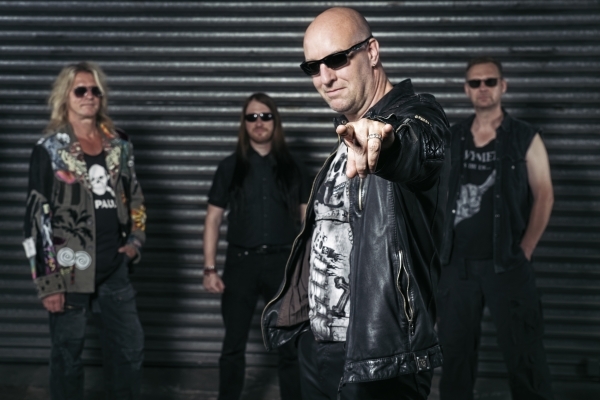 Also, it should be familiar to any friend of melodic, heavy sounds that IRON SAVIOR, the band around mastermind Piet Sielck is a staple in the Hanseatic Metalscene. 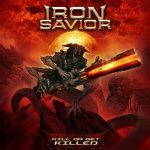 In1996 the multi-talented artist, who made a mark among others as a guitarist and producer, founded his solo project IRON SAVIOR. 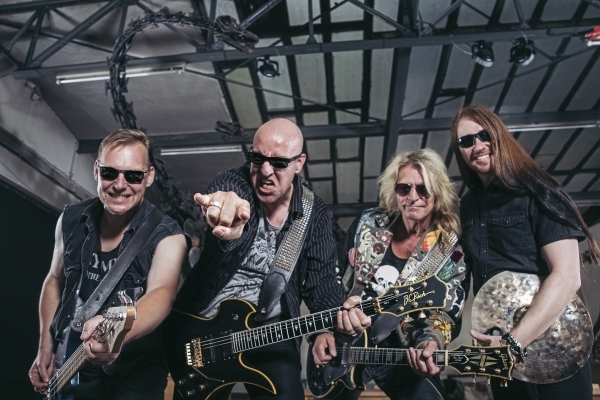 The line-up carousel rotated steadily, but over the years, the outfit gained more and more full character of a band, continuously and relentless Piet Sielck and his troop released nine albums, a Live CD/DVD and a new recorded Best Of „ Reforged – Riding The Fire“. Chartentries i.a. 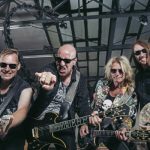 with “Titancraft” (2016) and the 4,000,000 times streamed anthem “HeavyMetal Never Dies” is indicative for that the Hamburg based band is on the right track with their classic, infectious Heavy Metalsound. Apart from that IRON SAVIOR stick to their guns. From the first tune of the eponymous opener “Kill Or Get Killed” they are bringing the message home that they will take no prisoners like the dreadful creature at the frontcover. 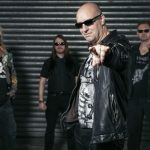 With epic anthems like “Eternal Quest” or “Never Stop Believing”, the stomper “From Dust To Ruble” and a hig-octane-stunner “Heroes Ascending” coupled with point-to-point guitar solos, perfect hooks, catchy choirs and the extraordinary signaturevoice of frontman Piet, this album has all the makings for another Powermetalclassic in the band´s history. Needless to say that the bandleader, who is not only guitarist and vocalist but also owner of the Powerhouse Studios, is in charge for the recordings. Responding to the questions, how he would describe “Kill Or Get Killed” he answers sententiously: “We got a kick out of doing the recordings and took care a lot.” There is nothing more to add.